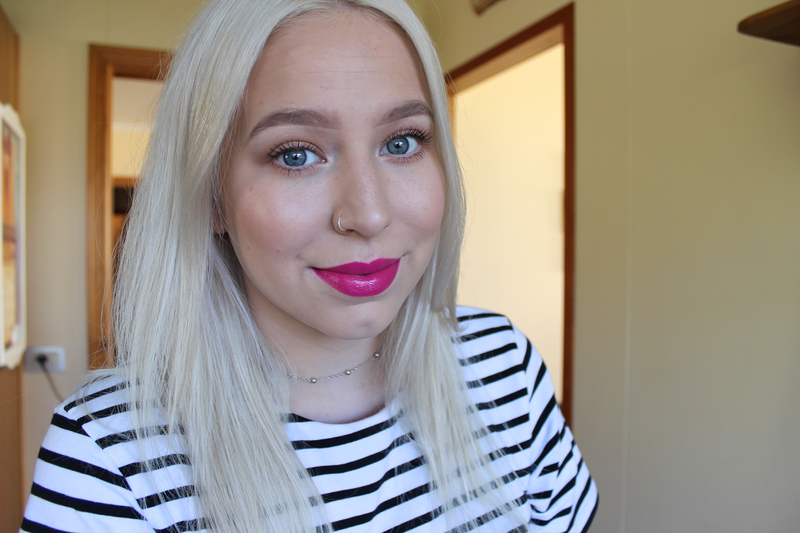 This lipstick, named Girl About Town, was one of my first lipsticks from MAC and has been one of my favorites for a while now. I remember it being very popular on YouTube a few years back and my favorite YouTuber at the time, Tanya Burr mentioned it in her Top 10 MAC lipsticks video - so I of course, had to get it. Girl About Town is a beautiful and vibrant, blue based pink fuchsia shade. 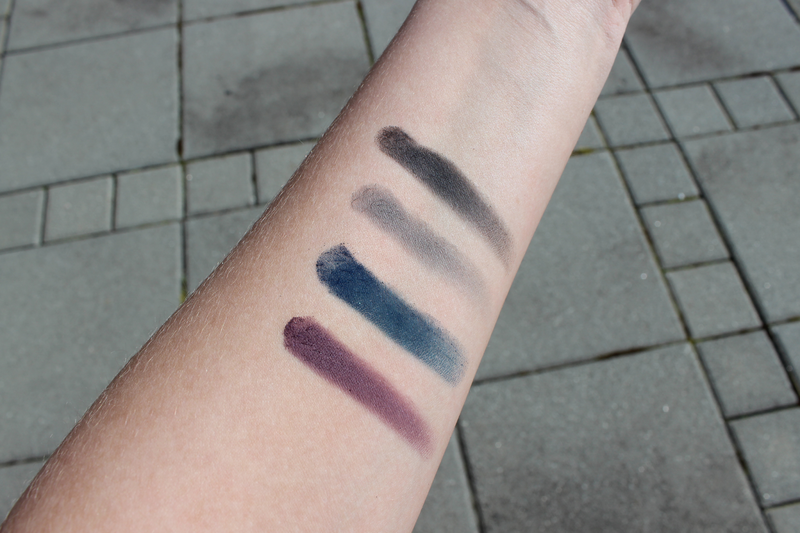 It has an Amplified Creme finish so it's super creamy and pigmented. This baby is opaque in one swipe and glides easily on the lips. At first it has a nice sheen but that fades away in to a nice soft matte finish. It lasts incredibly well on the lips and leaves a full on stain. If you've been looking for a good pink shade, you should check this one out - it's looks good on everyone. 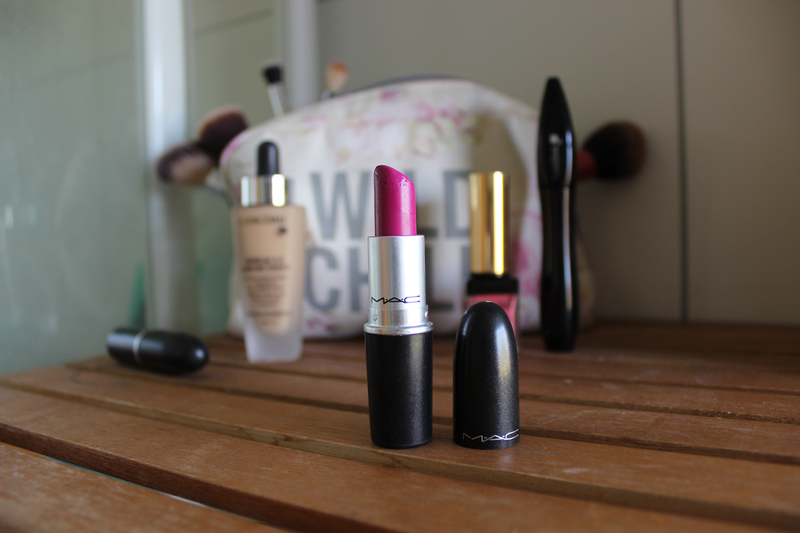 I mean, it's no coincidence that it's one of MAC's most popular lipsticks. //Þessi varalitur, Girl About Town, er einn af fyrstu varalitunum sem ég keypti frá MAC og hefur verið einn af mínum uppáhalds síðan ég keypti hann. Ég man að varaliturinn var virkilega vinsæll á YouTube fyrir nokkrum árum og uppáhalds YouTuber-inn minn á þeim tíma, Tanya Burr minntist á hann í myndbandi um Topp 10 MAC varalitina sína - svo ég þurfti auðvitað að eignast hann líka. Girl About Town er mjög fallegur blátóna bleikur. Hann er með Amplified Creme formúlu svo hann er mjög kremaður og pigmentaður. Hann þekur alveg í fyrstu stroku og það er auðvelt og þægilegt að bera hann á. Til að byrja með er smá glans á honum en glansinn fer fljótlega af. Hann endist ótrúlega vel á vörunum og skilur eftir sig "stain" (búinn að lita varirnar). Ef þú ert búin að vera að leita að fallegum bleikum varalit þá mæli ég að kíkja á Girl About Town - hann er ótrúlega fallegur og fer öllum vel! Það er engin tilviljun að þetta sé einn af vinsælustu varalitunum í MAC. 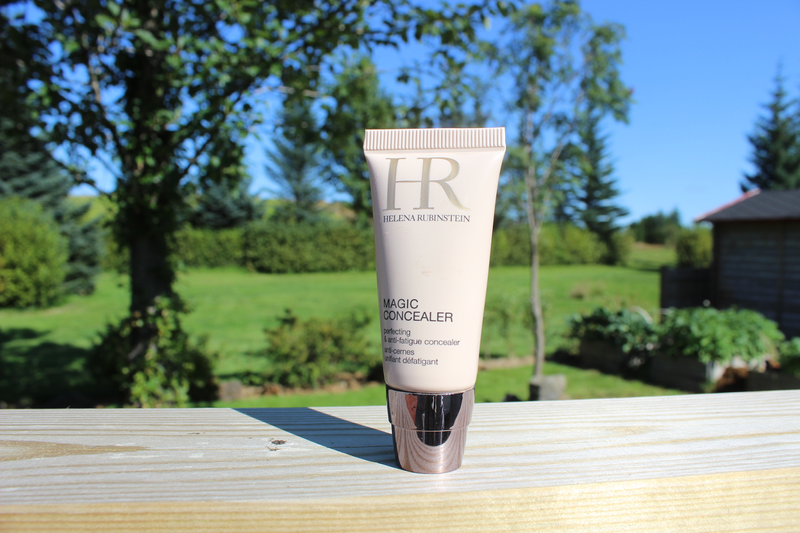 I introduce to you, the little guy that has been my rescuer for the summer; the Magic Concealer* from Helena Rubinstein. Sadly for me, my skin has been going bananas for the past 3-4 months, I don't really know what's been going but it's finally getting better. Any who, the Magic Concealer has helped me conceal those unwanted spots and dark circles. Packaged in a handy squeezy tube (it holds a ton of product, .5 oz/15 ml) so you can totally control how much comes out (unlike the annoying MAC Pro Long-Wear concealer) and a little goes a very long way. I have the shade Medium 02, which is a good match for me over the summer but I will need the lighter shade for the fall/winter months. The texture is very lightweight and it looks very natural, I actually wear this by itself sometimes and it simply looks like my skin (but better). 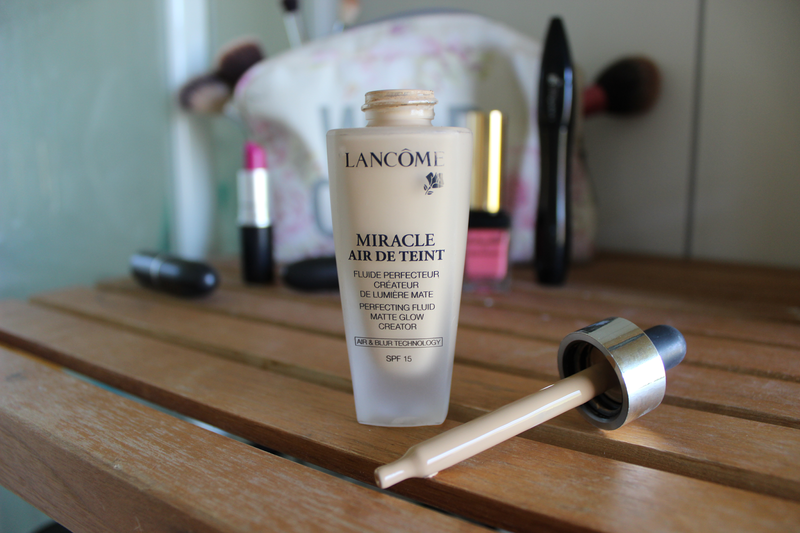 The Magic Concealer is also great for concealing under the eyes and it doesn't crease. The only con of this product is the shade range, it's only available in 3 shades. 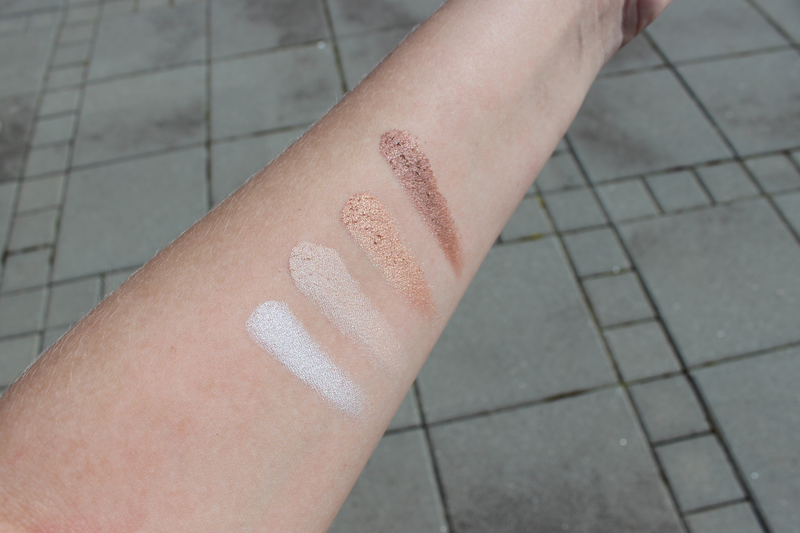 If you are in the fair-medium range, you'll most likely be able to find a good match but any lighter or darker, you will have to find something else. If you can find a match I definitely recommend giving it a try! //Ég vil kynna ykkur fyrir bjargvætti mínum þetta sumarið - Magic Concealer* frá Helena Rubinstein. Húðin mín hefur verið hálf klikkuð síðustu 3-4 mánuðina, veit ekki alveg hvað var að en þetta er að lagast. Allavega, þá hefur Magic Concealer-inn verið æðislegur til að fela alla leiðinda bletti (bólur og annað skemmtilegt) og undir augunum. Hyljarinn kemur í þægilegri kreisti túbu (og þú færð helling af vöru, 0.5 oz/15 ml) svo þú nærð alveg að stjórna hversu mikið kemur út (annað en með leiðinda MAC Pro Long-Wear hyljarann). Þú þarft mjög lítið og smávegis hyljari fer mjög langt. Ég nota lit Medium 02 sem er góður fyrir sumarið en í haust/vetur mun ég þurfa að nota ljósari litinn. Áferðin er mjög létt og er náttúruleg á húðinni, ég nota hyljarann mjög oft einan og það er eins og ekkert sé á húðinni. Magic Concealerinn er líka frábær undir augun og hann "crease"-ast ekki (safnast saman í línum). Eina leiðinlega við þennan annars frábæra hyljara er að hann kemur aðeins í þremur litum. Ef þú ert með ljósa til miðlungs húð þá ættiru að finna þinn lit en ef þú ert ljósari eða dekkri en það þá þarftu að finna eitthvað annað. Hyljarinn kostar í kringum 5200 krónur og eru Helena Rubinstein vörur t.d. seldar í Hagkaup. Þú getur fylgst með HR á Íslandi hér. 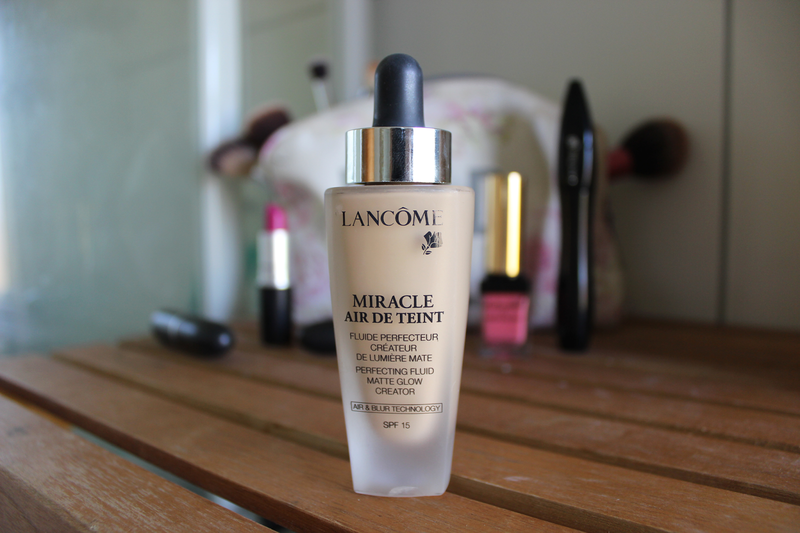 At the beginning of the summer I was lucky enough to be gifted Lancome's newest foundation, the Miracle Air De Teint*. I have it in the shade 01, which is the tiniest bit too dark for me but when blended in to the skin it isn't too noticeable. 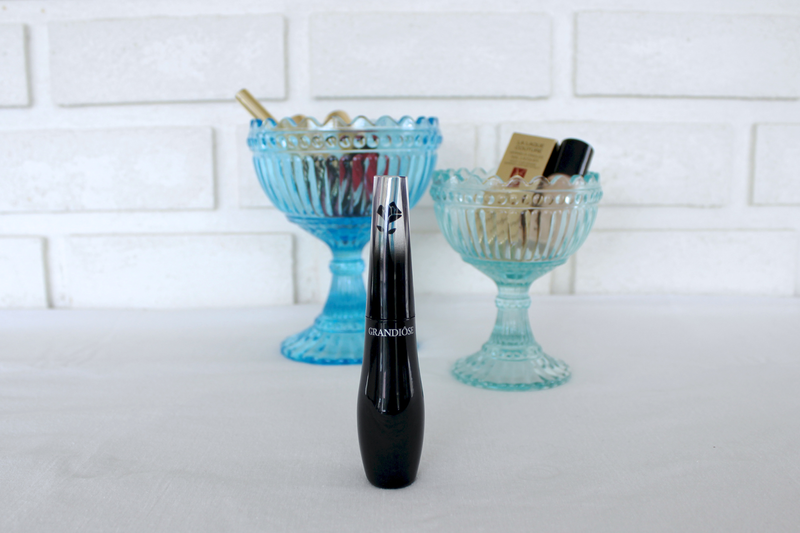 The foundation comes in a beautiful frosted glass bottle with a dropper. It is super lightweight and blends very easily (I love using my hands with this foundation) - it's very silicony. The formula is very runny so be careful not to spill it everywhere. It is a liquid to powder foundation so it dries matte, a natural matte though. This foundation works better for people with normal/combination to oily skin, if you've got very dry skin it will cling on to dry patches. The foundation lasts very nicely through out the day and I don't get very oily at all (I don't set it with a powder either, so that's very good). The coverage is sheer but is build able to a medium, it is very natural looking so if you are in the need of some heavy coverage, look elsewhere. It's definitively worth a try if you are looking for a new foundation and it comes in a good range of colors (I think 12-14 shades). //Í byrjun sumarsins fékk ég í hendurnar nýjasta farðann frá Lancome sem kallast Miracle Air De Teint*. Ég er með lit númer 01 sem er aaaðeins of dökkur fyrir mig en þegar ég er búin að blanda honum almennilega í húðina tekur maður lítið eftir því. Farðinn kemur í fallegri gler flösku með dropateljara. Farðinn er ótrúlega léttur og blandast auðveldlega (mér finnst best að blanda honum með fingrunum). Hann er mjög þunnur svo maður þarf að passa sig að hella ekki öllu út um allt. Farðinn er svokallaður "liquid to powder", semsagt fljótandi farði sem breytist í púður þegar búið er að blanda honum í húðina. Áferðin á húðinni er þar af leiðandi mött eftir farðann, samt mjög náttúrulega mött. Ég mæli frekar með farðanum fyrir þá sem eru með venjulega/blandaða til feita húð, ef þú ert með þurra húð gæti hann fest í þurrum blettum. Farðinn helst vel á yfir daginn og ég glansa mjög lítið í enda dagsins (ég nota heldur ekki púður til að setja farðann svo það er mjög gott). Þekjan er mjög létt en hægt að byggja upp í miðlungs þekju, svo ef þig vantar almennilega fulla þekju þá er þetta ekki farðinn fyrir þig. Ég mæli með því að prufa þennan fallega og náttúrulega farða sem kemur í fullt af litum (held að um 12-14 litir séu í boði, veit þó ekki hversu margir eru hér á Íslandi). I thought today would be the perfect time to tell you about this product as I am camping with the family in Dalvík and managed to find some internet connection to blog for you guys. 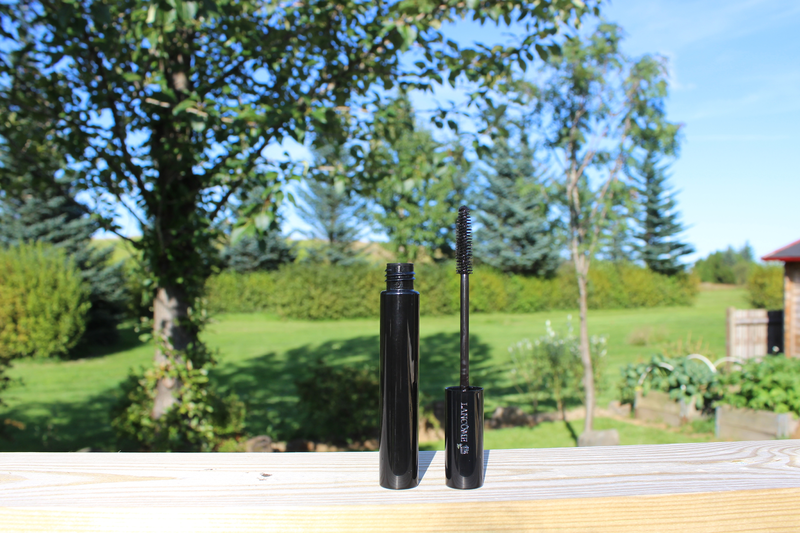 Earlier this summer I got gifted this mascara from Lancome, the Cils Tint*. It looks like a regular mascara but it’s not. It claims to last for up to 72 hours, be totally waterproof and it’s supposed to wear off itself. 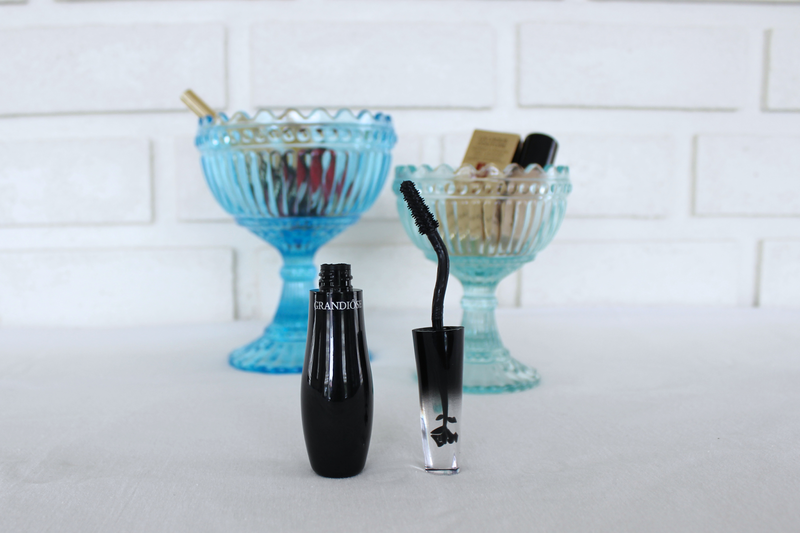 The mascara doesn’t build up length or volume - it simply tints your lashes. It takes a little while to dry but when it’s dried it’s not going anywhere. For me it lasted three days and then I decided to remove it with a make up remover whilst I was in the shower. 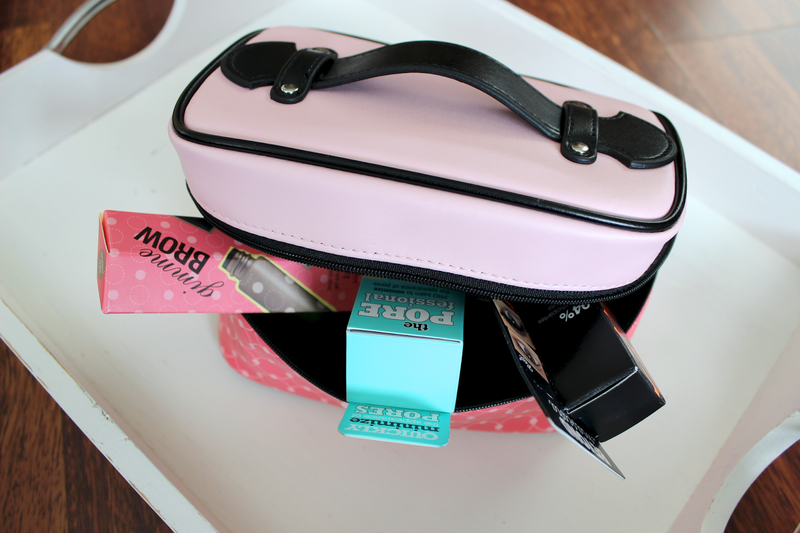 It’s great for the summer, for camping trips and festivals - those fuzz free make up days. //Ég er rétt fyrir utan Dalvík ákkurat núna með fjölskyldunni í smávegis útilegu.Ég komst í almennilegt internet í smá stund þannig ég ákvað að henda inn einni bloggfærslu fyrir ykkur um eina frábæra vöru í útileguna. Fyrr í sumar fékk ég Cils Tint* maskarann frá Lancome. Hann lítur út eins og venjulegur maskari en hann er nokkuð einstakur Lancome lofar að hann endist í allt að 72 klukkutíma, að hann sé alveg vatnsheldur og að hann eyðist upp sjálfur. Maskarinn byggir ekki upp þykkt né lengd heldur litar hann einfaldlega augnhárin. Það tekur nokkurn tíma fyrir hann að þorna á augnhárunum en þegar hann er þornaður, þá haggast liturinn ekki. Maskarinn entist í þrjá daga á augnhárunum á mér en ég þreif hann svo af með make up remover. Cils Tint er frábær fyrir sumarið, í útilegurnar og á útihátíðir - daga þegar maður nennir einfaldlega ekki að pæla of mikið í útlitinu. Before raving about the products above, I have to say that I am a total hair noob - ok, moving on. 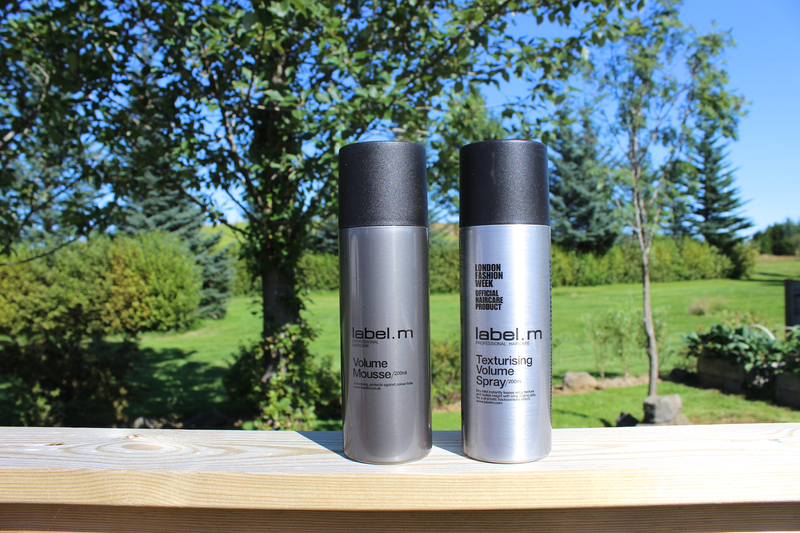 These two babies from Label M have become saviours to my super fine, boring hair. It all started when I started getting my hair done by my beautiful friend Eva and she used the Volume Mousse on my hair, I then bought a travel size to try it myself and before long, I bought the big bottle. About a month later, she introduced me to the Texturising Volume Spray and I fell in love with that as well, so I bought a bottle right away. So how do these things work? I spray a bit of the Volume Mousse onto my roots when my hair is wet, the mousse gives my hair loads of volume and grip - which my fine hair doesn't have naturally. Another great thing about the mousse is that it makes it easier for me to go a few days without washing my hair, my hair usually gets crazy oily after just one day but when I use this I can sometimes get away with 4 days without washing, which is pretty crazy (and very comfy for a lazy bug like me)! The Volume Spray is a bit different and is used on dry hair. When I've done my hair, I spray this over my hair - focusing on the roots. I then "schuss" the hair so it's big and a bit unruly (that's just what I like, kinda bed head hair). They both give my hair lots of volume and texture so I can do just about anything I want with it. //Þessar tvær vörur frá Label M eru búin að bjarga mínu fíngerða og leiðinlega hári. Það byrjaði allt þegar ég fór til Evu vinkonu minnar í klippingu og litun og hún notaði Volume Mousse í hárið. 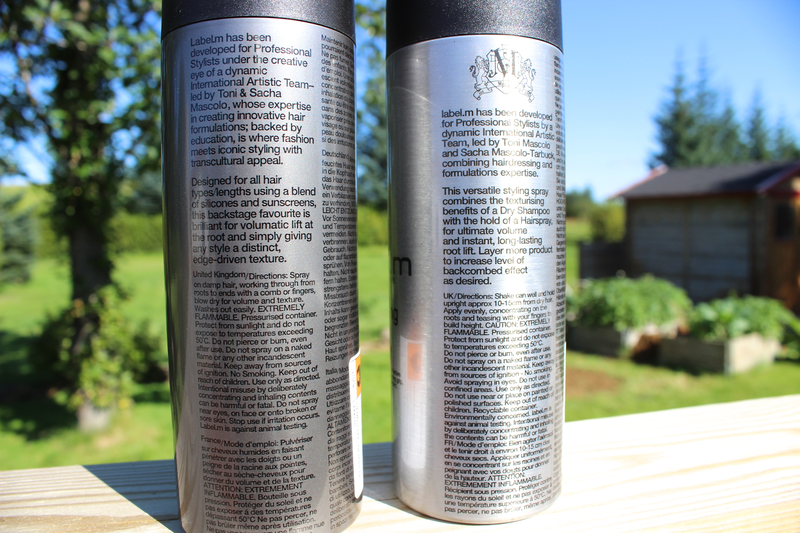 Ég keypti þá litla brúsann til að prufa það sjálf og ég keypti stóra brúsann stuttu eftir á. Fyrir um mánuði sýndi hún mér svo Texturising Volume Spray-ið og ég féll fyrir því og keypti strax brúsa. Ég spreyja smávegis (reyndar alveg slatta) af Volume Mousse-inu í ræturnar á hárinu þegar það er blautt. Músin gefur hárinu hellings lyftingu og grip - sem er eitthvað sem mitt fína hár hefur ekki náttúrulega. Annað gott við þetta Mousse er að ég þarf ekki að þrífa hárið jafn oft þegar ég nota það, yfirleitt er hárið mitt orðið skítugt eftir einn dag en ég hef komist upp með að þrífa það ekki í allt að 4 daga þegar ég nota þetta! Sem er ekkert annað en frábært, því eins og við vitum flestar þá er ekki gott fyrir hárið að vera þrifið of oft. Volume Spray-ið er aðeins öðruvísi. Ég spreyja því yfir hárið (aðallega í ræturnar) þegar það er þurrt og ég búin að gera það eins og ég vil. Ég rugla svo aðeins í hárinu svo það verður smá úfið (ég fýla svona "bed head" lúkk). Báðar vörurnar gefa hárinu mínu hellings lyftingu og grip svo ég get gert nokkurn veginn allt í það og það helst vel í.
Ég hef keypt mínar Label M vörur á hárgreiðslustofunni Kompaníið og báðar vörurnar eru að kosta um 3500 kr. stykkið sem mér finnst vel sloppið. 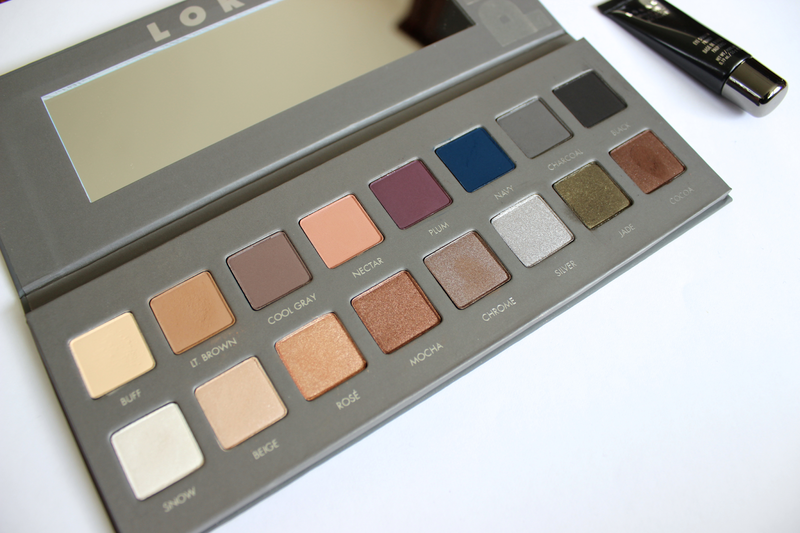 DID SOMEONE SAY LORAC PRO PALETTE 2? Yes ladies and gents, the Lorac Pro Palette 2 is mine. Probably the first time I've ever jumped on a make up band wagon so early. The Lorac Pro palette is my absolute favorite, it's my love and I simply wouldn't know what I would do with out it (are we still talking about make up??). 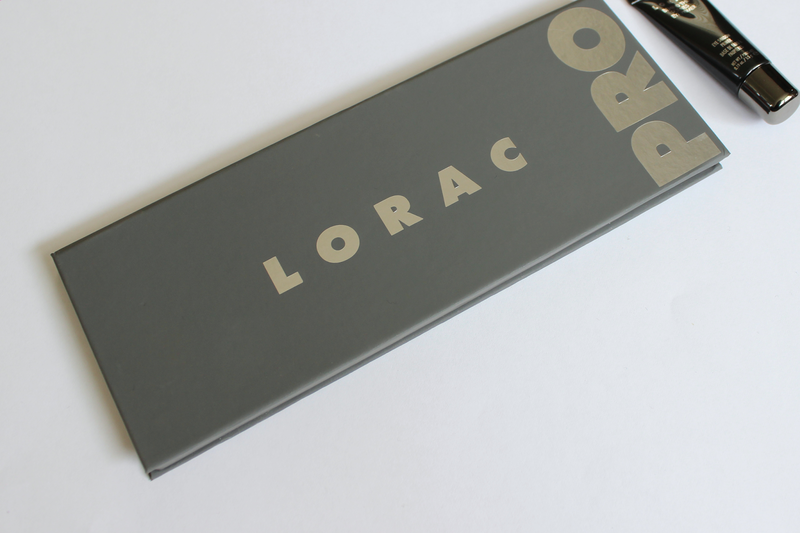 At first glance, the Lorac Pro Palette 2 didn't tickle my fancies - it looked too cool toned for my liking and I simply wasn't impressed. But then, boy oh boy, the review videos started filling up my YouTube subscription box - next thing I know, I'm picking it up at my post office and I am one happy make up junkie. 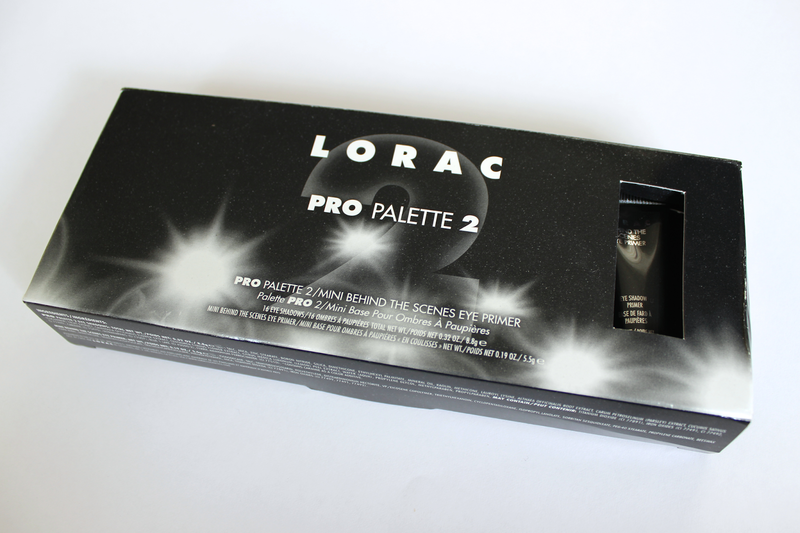 The packaging is pretty much exactly the same as the original palette but in grey - and it has the number 2 on the box. As with the first one, it has that rubberised Nars feel, which I like but it gets super dirty, super fast. It's got 16 beautiful eyeshadows, 8 matte and 8 satin/shimmer/metallic. Ranging from pretty neutrals and then some incredible pops of colors. Like the Plum and Navy shade - ah-mazing. Both incredibly rich and delicious. The palette does definitely lean more on the cooler side but it does have some warmer ones as well. In my opinion the Lorac shadows (I've only tried the ones from the Pro palettes) are super high quality - buttery smooth, super pigmented and blend like a dream. Both the originial and second palette come with a travel size version of their Behind the Scenes eyeshadow primer which is actually really good and the little tube lasts for ages. If you've been thinking about getting either one of these palettes I say go for it. The original one is still my favorite but this one is a great addition to my collection. 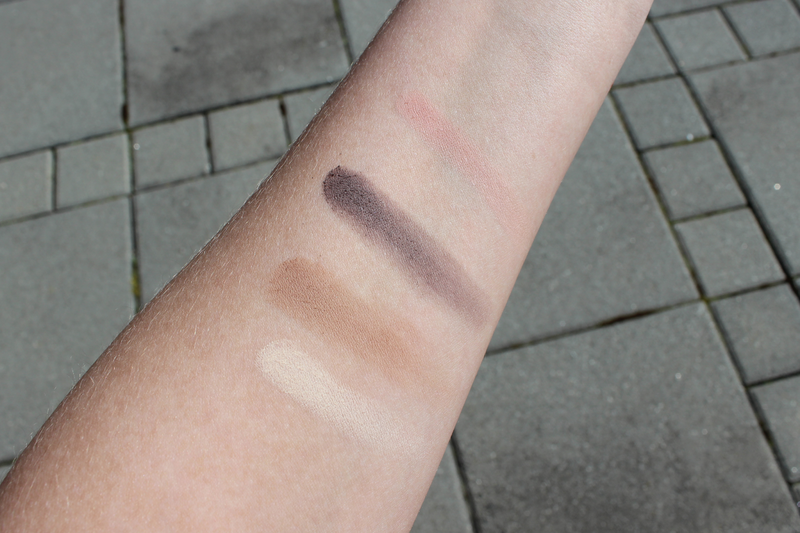 Below are some swatches for you guys - bare in mind that the Nectar shadow doesn't show up too well on my skin because I am so fair and the shadow is pretty light. //Já dömur mínar og herrar, ég keypti mér Lorac Pro Palette 2. 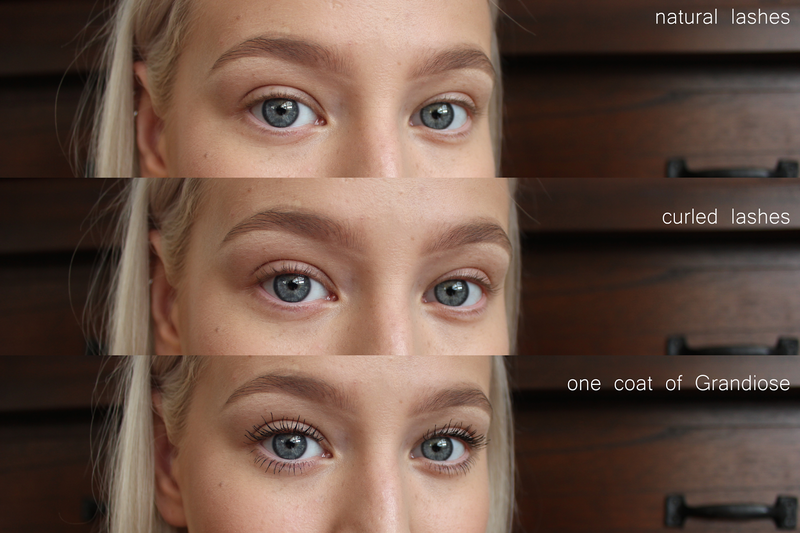 Lorac Pro pallettan er mín allra uppáhalds palletta og nota ég hana mjög mikið. 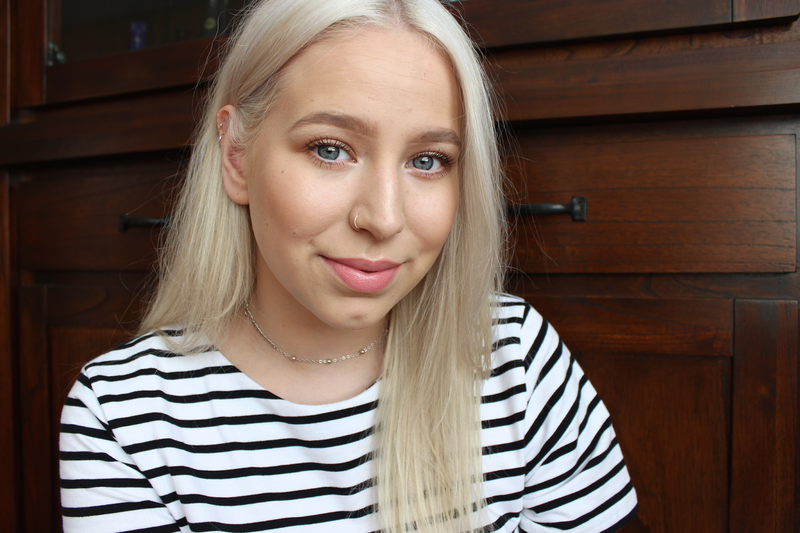 Þegar ég sá fyrst myndir af Lorac Pro Palette 2 var ég ekki heilluð, fannst hún of köld fyrir mig - en þegar review myndböndin byrjuðu að fylla YouTube subscription boxið mitt, varð ég heilluð. Áður en ég vissi var ég búin að sækja mitt eintak út á pósthús, úbbs. Pakkningarnar eru nákvæmlega eins og á fyrstu pallettunni, nema þær eru gráar og talan 2 er á boxinu utan um pallettuna. Eins og með fyrri pallettuna er hún með svona Nars gúmmí áferð, sem mér finnst falleg en verður mjög skítug, mjög fljótt. Pallettan inniheldur 16 fallega augnskugga - 8 mattir og 8 með shimmeri. Allt frá fallegum náttúrulegum litum til bjartra blárra. Eins og litirnir Plum og Navy - magnaðir! Báðir litirnir ótrúlega ríkir og girnilegir. Pallettan er klárlega meira á kaldari hliðinni en það eru samt nokkrir hlýjir litir líka. Mér finnst Lorac augnskuggarnir (ég hef bara prufað þá í Pro pallettunum) vera ótrúlega góðir - mjúkir sem smjör, vel pigmentaðir og auðveldir í blöndun. Lítil túba af Behind the Scenes augnskuggarprimernum fylgir með bæði fyrstu og seinni pallettunni, primerinn er mjög góður og túban endist manni lengi! Ef þú hefur verið að íhuga að kaupa aðra hvora pallettuna mæli ég frekar með númer 1 en númer 2 er alls ekki síðri og er ég mjög glöð að hafa bætt henni við í safnið. (Ég keypti báðar mínar pallettur af traustum seljanda á eBay- hér). 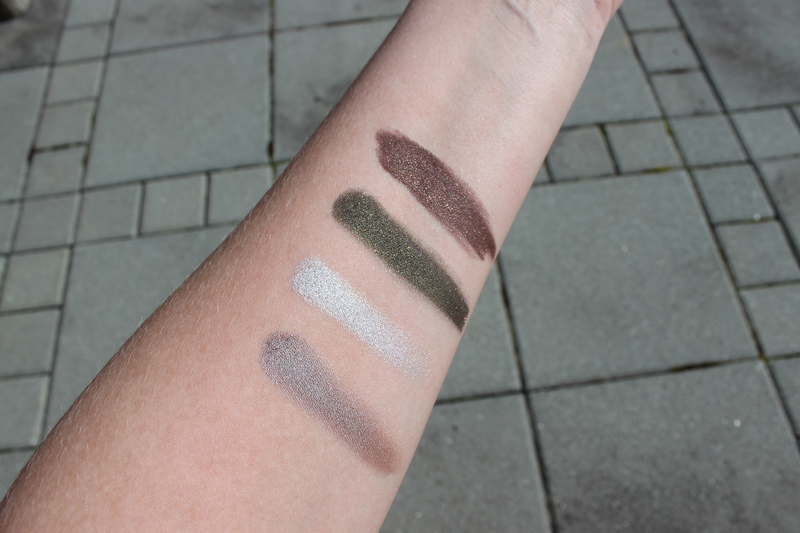 Hér fyrir neðan eru svo "swatches" af litunum - Nectar liturinn sést ekkert svaka vel á mér því ég er svo ljós og hann er nokkuð ljós líka. As you guys saw in my last post, I've recently gone a bit make up shopping crazy. One of the purchases I made was from the Benefit website, I didn't now this until recently but they offer international shipping! If you are American (or from some other place that has most make up brands available) you won't understand this struggle, Iceland has such few brands and every time I want something, I have to find it online and pray that it offers shipping to my little island (and if they offer free shipping, I am one happy shopaholic). 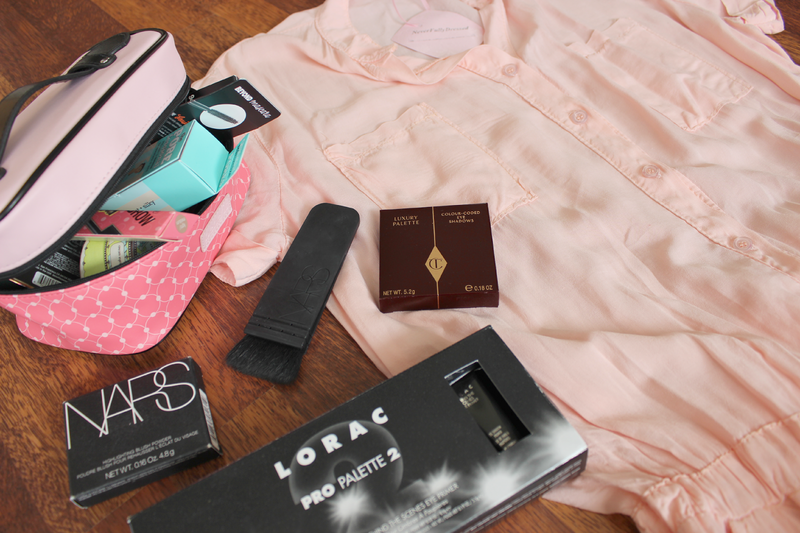 But yes, as I said - I did some Benefit shopping. To start off with, I was only going to get 3 things but then I saw that on the website they have this thing called "Nice Package", where you can pick 3 products and you get one free gift and a make up bag for $79. 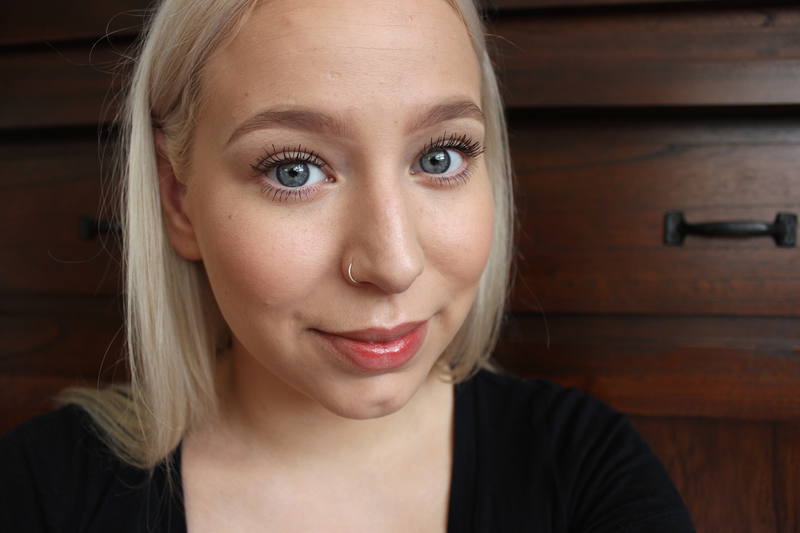 So I picked the Porefessional, the Hoola bronzer and They're Real mascara. Then as my freebie I chose the Creaseless Cream Shadow in My Two Cents (a very pretty copper). When I saw you get free intl. shipping when you spend $125 or more, I decided to pick up the Gimme Brow and Coralista as well. Pretty much all of these products are super popular in the beauty world and I am very excited to give them all a good go. 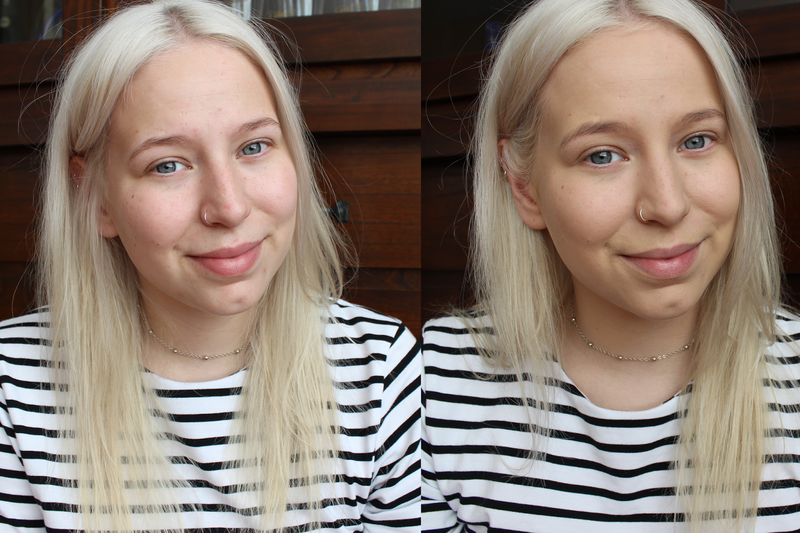 The only thing I've tried thus far is the Porefessional and Gimme Brow and so far, so good. The Gimme Brow which I got in the shade Light/Medium, might be a tad bit light for my liking but I think it will be good for a natural brow day. What are your favorite Benefit products? //Eins og þið sáuð í síðustu færslu er ég búin að vera að kaupa ansi mikið af snyrtivörum. Ein af síðunum sem ég verslaði af var á síðu snyrtivörurisans Benefit. Fyrir stuttu frétti ég að síðan býður upp á sendingu um allan heim svo ég ákvað að splæsa smá. Ég ætlaði fyrst bara að versla mér 3 vörur en það breyttist þegar ég sá að Benefit er að bjóða uppá svokallað "Nice Package" þar sem þú velur 3 vörur, færð eina fría ásamt förðunarbuddu á 79 dollara. Ég valdi mér Porefessional primerinn, Hoola sólarpúðrið og They're Real maskarann. Fría varan sem ég valdi var Creaseless Cream shadow í litnum My Two Cents (fallegur koparlitur). Síðan sá að ég að það er frí sending ef þú eyðir 125 dollurum svo að Coralista kinnaliturinn og Gimme Brow augabrúnagelið bættust við í körfuna. Þetta eru flest allt mjög vinsælar vörur svo ég er mjög spennt að prufa þær allar almennilega. Eina sem ég er búin að prufa er Porefessional og Gimme Brow og hingað til er ég mjög ánægð. Gimme Brow er í litnum Light/Medium sem er kannski aðeins of ljós fyrir mig en hann verður líklegast góður fyrir náttúrulega daga. Ég mæli með því að þið kíkið á benefitcosmetics.com og nælið ykkur í nokkrar fallegar vörur! Tollurinn var ekki hár svo ég er mjög sátt. Eigið þið einhverjar uppáhalds Benefit vörur? Hello there everyone. I've been slacking on posting so I thought I'd tell you guys a little what's been going on in my life along with showing you guys a few things I've gotten recently. Last week the boyfriend and I moved from our first apartment into my parents house, we will be staying here for 1-2 months and then we will be moving to Reykjavík - we decided to make a stop at my parents house just to save up some money for the big move. I also had my first magazine interview come out last week and I also got a new tattoo.. fun times! Now on to the some delicious beauty products and one clothing item. I have been looking at this gorgeous light pink jumpsuit from Never Fully Dressed for a while now and finally took the plunge. I also allowed myself a Charlotte Tilbury splurge, I got the Dolce Vita palette and it's gorgeous - a gift from me to me. 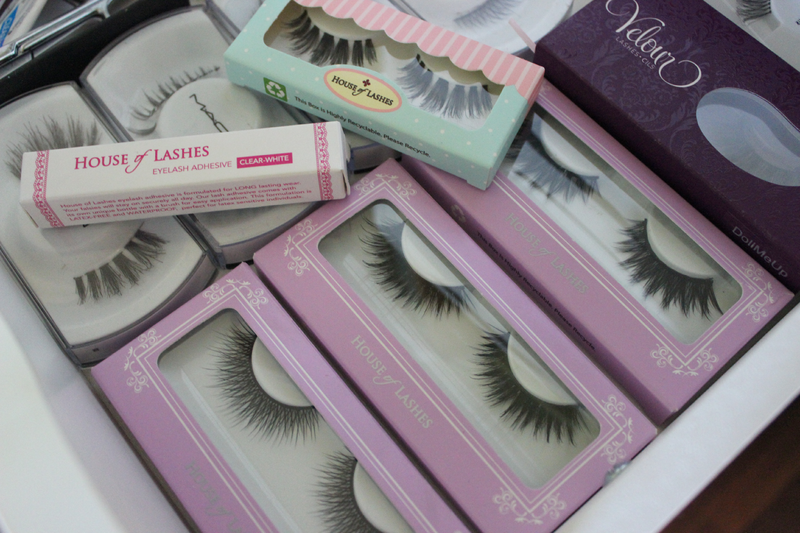 I have seen lashes from House of Lashes everywhere and when they had a free shipping + 20% off coupon going on, I purchased a few lashes along with their lash glue. The Nars Ita brush and Albatross highlighter are finally mine, they have been on my wish list for a looong time now and it so exciting to finally have those two in my hands. 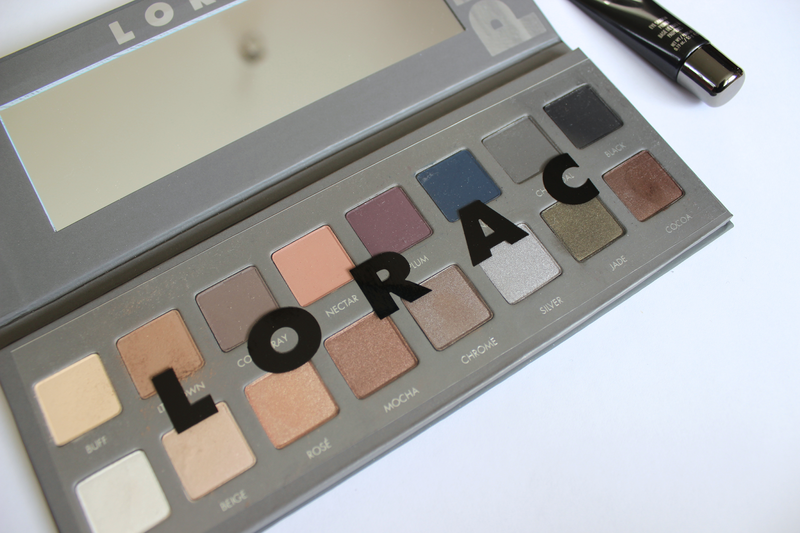 The original Lorac Pro palette is my absolute favorite and is very well used, when the Lorac Pro palette 2 came out I wasn't going too keen on getting it but after seeing rave reviews I couldn't say no. 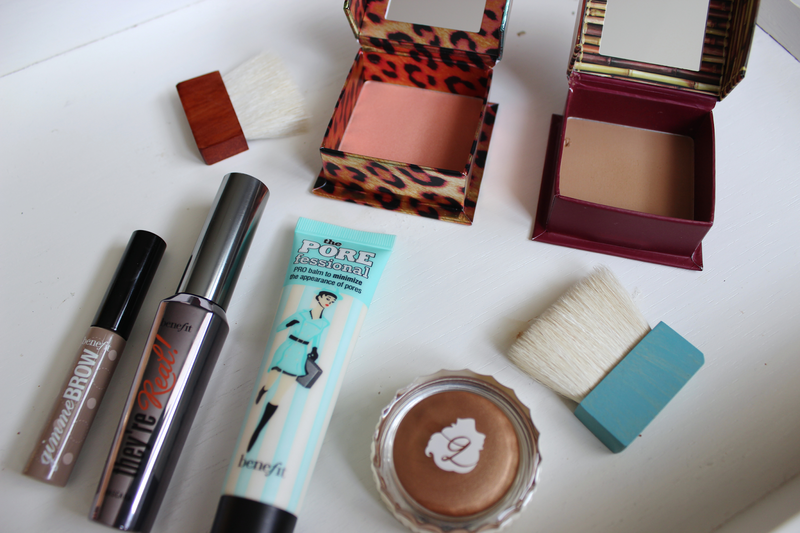 Last but not least a few Benefit products. 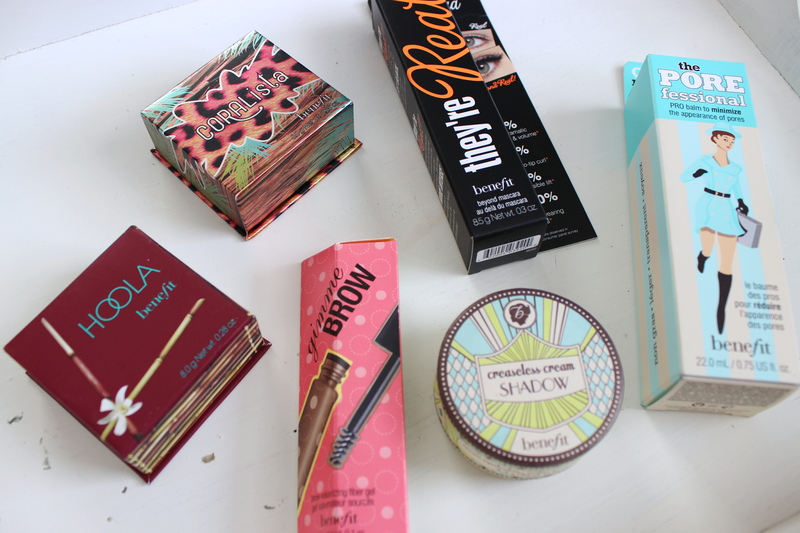 I recently found out that Benefit ships internationally so I decided to pick up a few items that have been with on my wishlist for ages. What's going on with you guys? Let me know if you want reviews on any of the products I showed here! //Halló allir! Ég er búin að vera nokkuð léleg að birta færslur uppá síðkastið svo ég ákvað að láta ykkur vita hvað er að gerast í lífi mínu ásamt því að sýna ykkur nokkrar nýjar vörur. Í síðustu viku fluttum við kærastinn úr okkar fyrstu íbúð heim til foreldra minna. Þar munum við vera í 1-2 mánuði áður en við flytjum til Reykjavíkur - aðeins að spara. Svo birtist fyrsta viðtalið við mig í Séð og Heyrt síðasta fimmtudag og ég skellti mér líka í nýtt flúr! Síðan henti ég mér á klikkaða Þjóðhátíð.. brjálað að gera! Nú skulum við tala um allt það nýja og gómsæta. Ég hef verið að skoða þennan sæta samfesting frá Never Fully Dressed í nokkuð langan tíma og leyfði mér loksins að splæsa í hann. Ég leyfði mér líka að versla mér smá frá Charlotte Tilbury, ég keypti Dolce Vita pallettuna hennar sem er æðisleg - smá gjöf frá mér til mín. House of Lashes augnhárin eru ótrúlega vinsæl og ég notfærði mér það þegar þau buðu uppá fría sendingu og 20% afslátt í byrjun júní. Ég valdi mér nokkur falleg augnhár og augnháralímið þeirra. Nars Ita burstinn og Albatross highlighterinn hafa verið á óskalistanum í mjööög langan tíma og það er virkilega skemmtilegt að vera loksins komin með það tvennt í hendurnar. 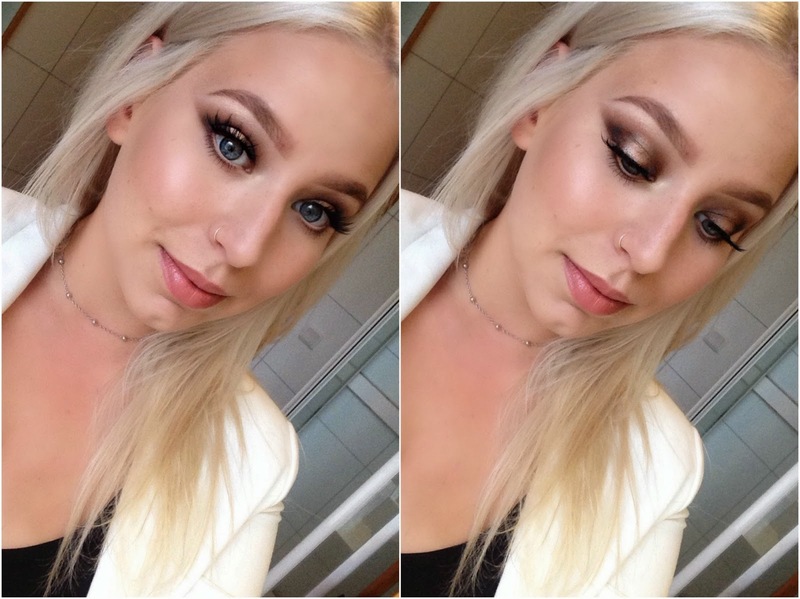 Næst er það Lorac Pro Palette 2. Ég elska fyrstu Lorac Pro pallettuna og er hún mjög mikið notuð, fyrst ætlaði ég ekki að næla mér í númer 2 en eftir að hafa séð alla tala um hana þá gat ég ekki sagt nei. Síðast en ekki síst eru það nokkrar vörur frá Benefit, ég fann nýlega út að Benefit sendir um allan heim svo ég nældi mér í nokkrar vörur sem hafa verið á óskalistanum. Hvað er að frétta af ykkur? Megið endilega láta mig vita ef þið viljið færslur um einhverjar af þessum vörum!